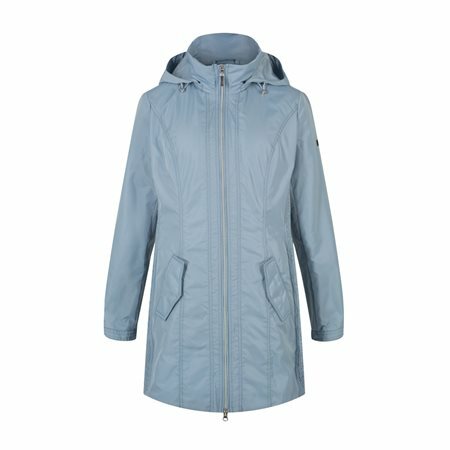 This beautiful coat has been created to be wind and weather proof as well as water repellent. This is a great coat for the spring summer seasons because of its lightweight material and soft colour. this coat has been finished with with ruched sides two button pockets and a hood.